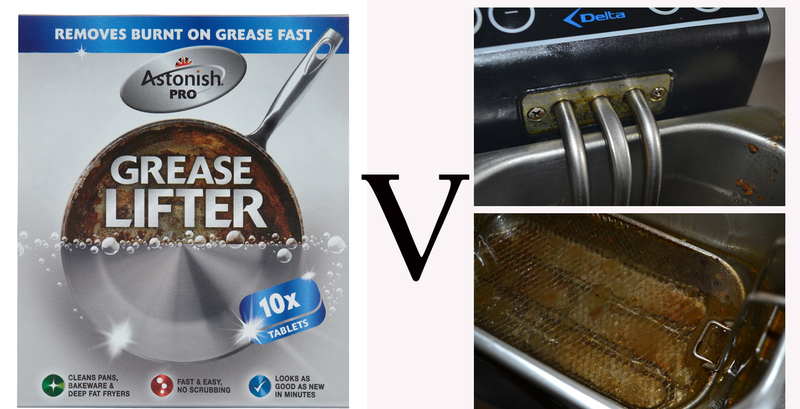 I was sent some of Astonish’s Grease Lifter tablets and I tried them out against my own tabletop deep fat fryer unit. To begin with my fryer isn’t the dirtyest deep fat fryer in the western world that honour goes to my sister-in-law. However no one likes to clean their fryer because it is so labour intensive. I clean my fryer every time I change the oil, which is how I would do it in a professional kitchen. I don’t use my fryer at home much but it is handy to have. Astonish use the same method I would use in a professional kitchen, that is once the dirty oil is remove you fill the fryer with water and bring it to the boil. Turn the thermostat down to a simmer and drop a tablet in. Cover with the lid (in your fryer has one) and simmer for about 20 minutes. Allow the fryer to cool for 20 minutes before draining out the greasy water. Continue to clean the various part of the fryer now the Astonish has loosen the dirt. This process does not in itself clean the fryer spotlessly, because even a professional cleaner in a kitchen wouldn’t do that. However it does break down the grease enough to make cleaning so, so much easy. I did use a nylon scrubbing-brush and some hot soapy water to finish the job before rinsing off with clean water. Please remember to keep the electric cable out of the water when getting off the last of the dirt! 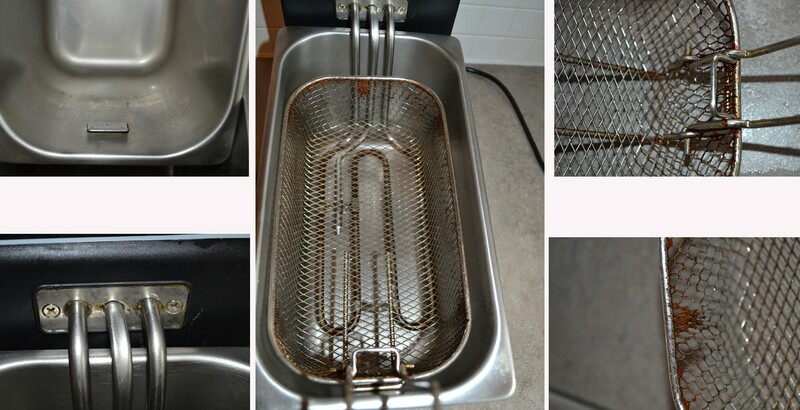 Below you will see the real untouched photos I took of my clean fryer. Perhaps the cleanest it has been since it was new, well done Astonish! I would definitely recommend Astonish tablets for cleaning your deep fat fryers. Please read an independent review of our new Grease Lifter tablets!